Several years ago, not long after I opened my Lucky Zelda shop, a dear friend had some lovely, light blue satin ribbon custom printed with "A Lucky Zelda Original". (She also happened to be the recipient of the first Lucky Zelda purse I ever made, before Lucky Zelda even existed.) I LOVED those labels. I used them. All. Every single one. I stitched them into each of my pieces that ended up being shipped all over everywhere. Once those ribbon labels were gone I decided to get even more officially official and had iron-on custom labels printed to match my Etsy shop's banner & my business cards. I've got quite the little brand going! After doing some research I chose a company in southern California (shop local, people!) to print my labels. Minimum order: 1,000. What?!?!?! Well, okay, if that's the minimum. They arrived shortly. My bright blue Lucky Zelda labels in two packs of 500. It looked to be an endless supply. Last week...I opened the second pack. I have officially made more than 500 items since receiving my "endless supply" and now have just under half left. I love milestones, even silly ones. To me they serve as a point to stop & look from where I've come, what I've walked through, who has been with me all the while. They are also a nice pause to ponder what lies ahead; for me & for Lucky Zelda. When trying to come up with a name, I asked friends & family for suggestions. I didn't want my name to be in the business name, i.e. "Cate's Creations" nor did I want the name to be item specific, i.e. "Pretty Purses", as I wanted the freedom to make whatever I was in the mood to make. At work one day we were chatting about possibilities & I just blurted out, "Maybe I should just name it after my dogs, Lucky Zelda." The whole room had an "ah ha!" moment. Thus Lucky Zelda was born. It's always amusing when I'm at craft shows & people will call me Zelda, tell me about their grandma Zelda, sneak a photo of my banner to send to their Aunt Zelda. Once I had a man sheepishly tell me his dog was named Zelda. "Mine too! ", I said. I am an animal lover & come by it honestly, from a long line of animal lovers. Dogs have always been members of our family. I think they're one of God's greatest inventions. The dog. 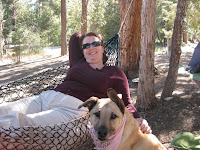 My husband, Kaisara, & I got Zelda from a foster home April, 2001. We weren't in our condo for 2 months before it had a dog-shaped hole that needed filled and Zelda filled that hole magically. She came with issues & stayed a little neurotic but she's our first dog together & Kaisara's first dog at all. Road trips, camping, hiking, going to mom & dad's, all of it. If we could take Zelda, why wouldn't we. Lucky belonged to Kaisara's sister & he came to stay with us while the family was on vacation. Once they returned, it was decided he would stay with us as he & Zelda were good company for eachother. 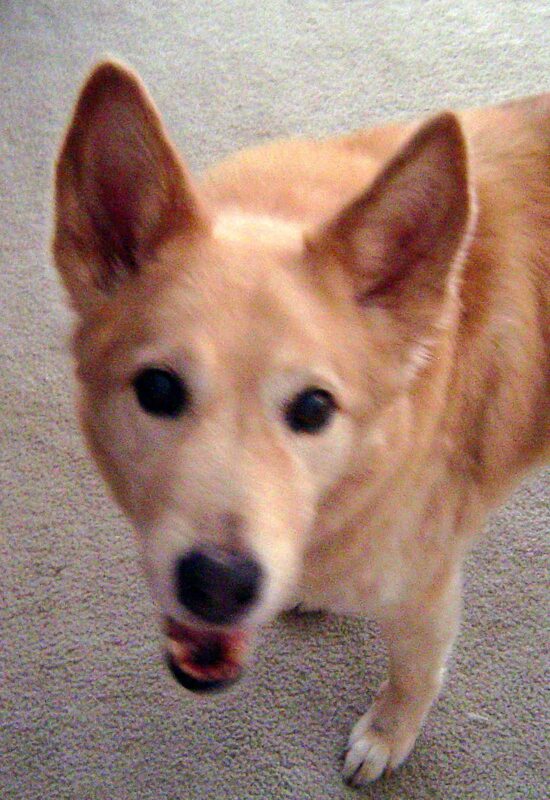 In September 2006 we had to say goodbye to Lucky due to kidney failure & likely cancer. I'm shocked that it's been that long. Wow. And now after 11 1/2 years since we brought her home with us, we had to say goodbye last night to our precious girl, Zelda. 2 years ago she had a stroke in her spinal chord which she recovered from nicely but never came back 100%. She had been declining steadily, especially these past 6 months & last night she let us know, though full of life in many ways, she was ready to go. My heart is broken as I miss her terribly & do many things for the first time without "my moon" in orbit around me. I will continue making my Lucky Zelda items, it will just be through tears for a while. Good night, sweet girl. Thank you for being our dog. I received some great feedback from a customer this morning. It made my day! My "goodies" arrived this morning - WOW, WOW! Absolutely stunning and beautiful and fit to perfection. I can see that you are a true clothes artist, Haute Couture workmanship. They fit on me like on the pretty lady on your webshop modelling them. Stunning! Thank you so much again and hope to be a client again in the future. 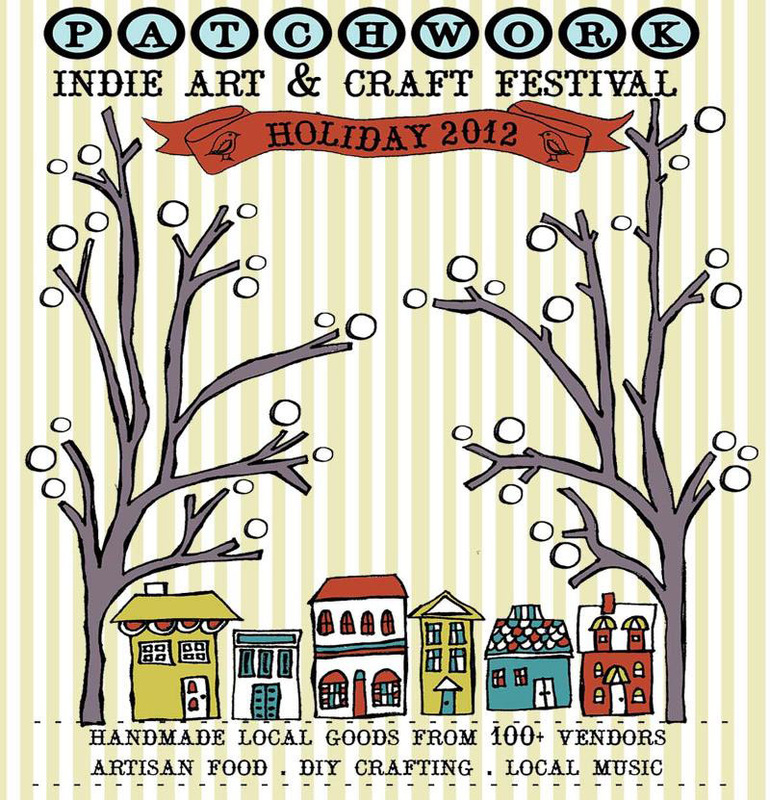 Lucky Zelda is joining Patchwork Indie Art & Craft Festival this May for the 7th time! It was a great show when I first joined as a vendor so many years ago & since then it has grown into an amazing event now with 3 locations. 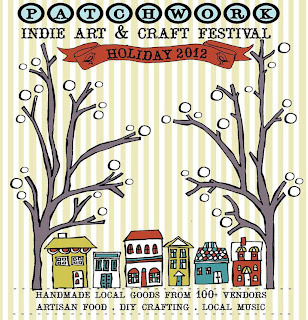 Though Nicole & Delilah have gotten a huge fan base for their great shows, Patchwork remains a wonderful, friendly atmosphere, for vendors & shoppers alike. I look so forward to these shows twice a year & can't believe it's almost that time of year again! 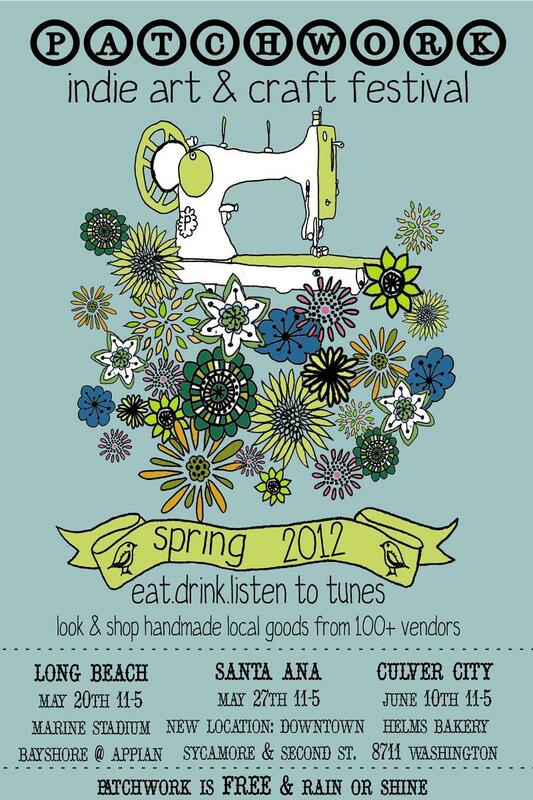 Do your handmade shopper's heart a huge favor & plan to stop by at least 1 of these great shows this season! Of course, visiting all 3 is best since different vendors are at each one. It's not just the same show 3 times. It's 3 GREAT shows that are similar in feel but have different things to offer. Keep in mind that the Santa Ana location (where Lucky Zelda will be selling) is at a new location! 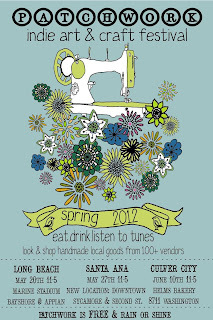 See you soon Patchwork lovers! Of course if I want my customers to take my Lucky Zelda clothing with them, they will want to try them on. To solve that issue, I (along with the most supportive husband) have created a great looking, private fitting room, complete with full length mirror. What a fun project! I'm so please with how it turned out. Along with these new items, I am hoping to continue to take these new pieces to new shows this year. A couple of weeks ago I participated in The Pink Parlour in Arcadia for the first time. My fitting room proved to be very helpful & I was so pleased how many people were eager to try on my retro clothes! I am now waiting to hear if Lucky Zelda has been accepted to Renegade Craft Fair in Los Angeles for the first time & to return to Patchwork Indie Arts & Craft Festival in their new Santa Ana location. So while waiting, I'll keep doing what I love & am so blessed to do: sewing beautiful, high quality items that I am proud to put my name on. The Pink Parlour Festival, is a unique one-of-a-kind event that caters to women of all ages. This festival was conceived with the purpose of celebrating the creativity of women. Our objective is to unite women, while bringing together the collections that they create...The world of crafts have evolved and this a great opportunity to be a part of The Pink Parlour Festival, all the while promoting your business in a fun and exciting atmosphere. Our concept has been to spotlight women and promote community involvement. I've been making more retro clothing over these past few months so I've added a fitting room inside my booth. But rest assured, the Lucky Zelda products you look forward to seeing will still be there. I'd love to see you there! You can purchase presale tickets here at Brown Paper Tickets.